For over 30 years we have been supplying their full range of trailers to many satisfied customers! 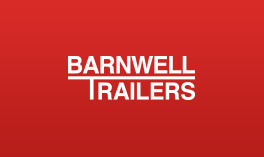 Barnwell Trailers boasts a long list of satisfied customers and with over 100 trailers in stock, plus regular deliveries from Ifor Williams, we are are always able to meet your requirements. Contact one of our experienced staff, who will be more than happy to help you make the right choice. We cover the Cambridgeshire, Northamptonshire, Leicestershire & Bedfordshire areas. In addition to the Ifor Williams range of Trailers & spares that we offer, e also take trailers in part exchange and offer a trailer rental service, with trailers in stock to take away today! Be sure to check the News page often, as new products are being added to our line regularly. Appointments out of hours are available upon request. Our workshop will be closed due to staff holiday from Monday 11th June til Monday 18th June !! !